This is a rectangular Dexter’s Mother’s Bread porcelain sign. This particular Dexter’s Mother’s Bread sign is shaped and colored like a chalkboard. 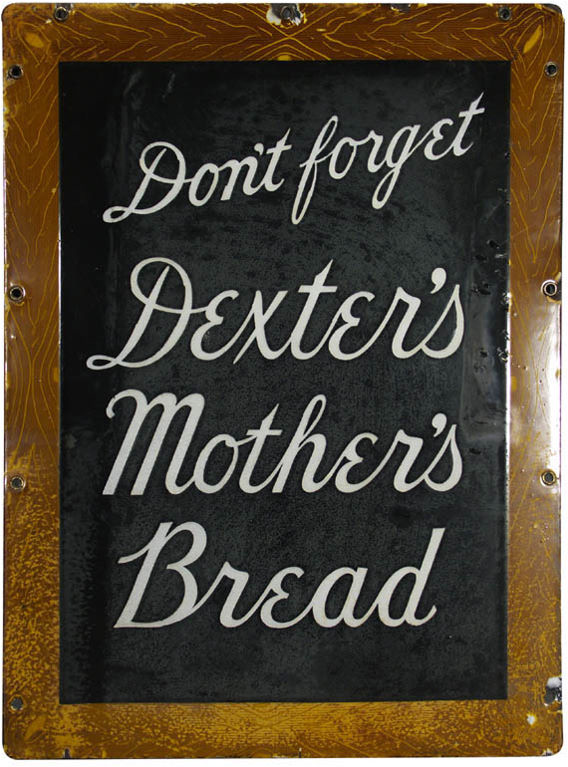 It reads, “Don’t Forget Dexter’s Mother’s Bread” and features simulated wood border.